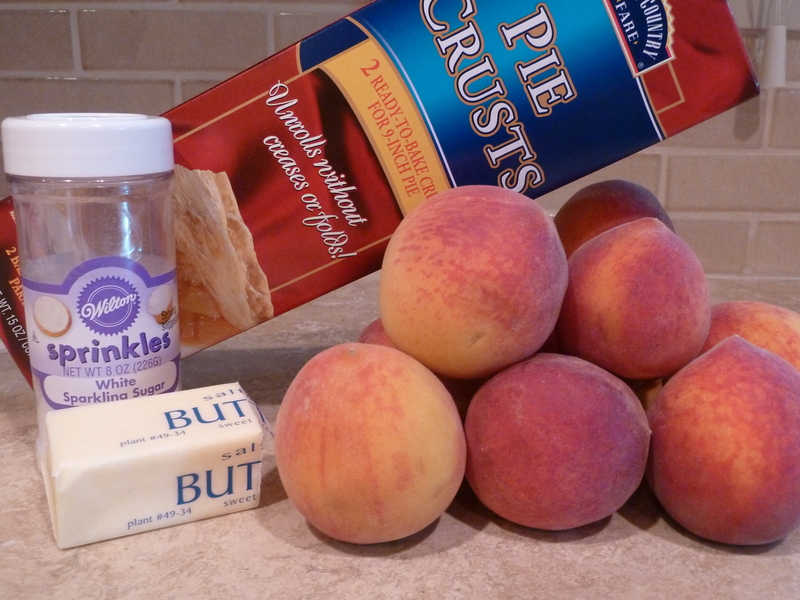 simple sunday: rustic peach tart | Is there any wine left? Rustic fruit tarts are one of my favorite desserts to make because they are so easy. There really isn’t a recipe and there are only 4-5 ingredients. Use whatever fruit is in season — peaches, plums, strawberries, blackberries. In a bowl, combine the fruit with cinnamon-sugar. I don’t measure this — I usually just use enough to make a thin layer on the fruit. Roll out the pie dough on a cutting board. 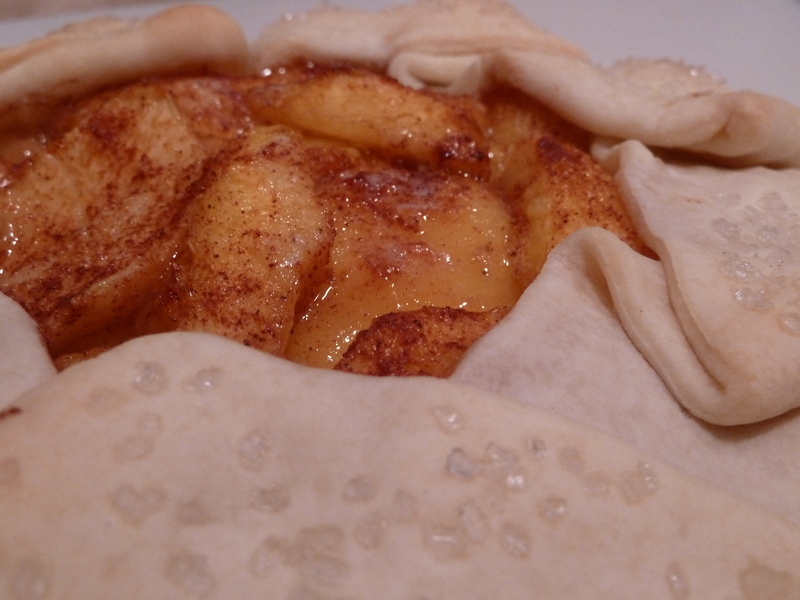 Pile the fruit mixture in the middle of the dough. 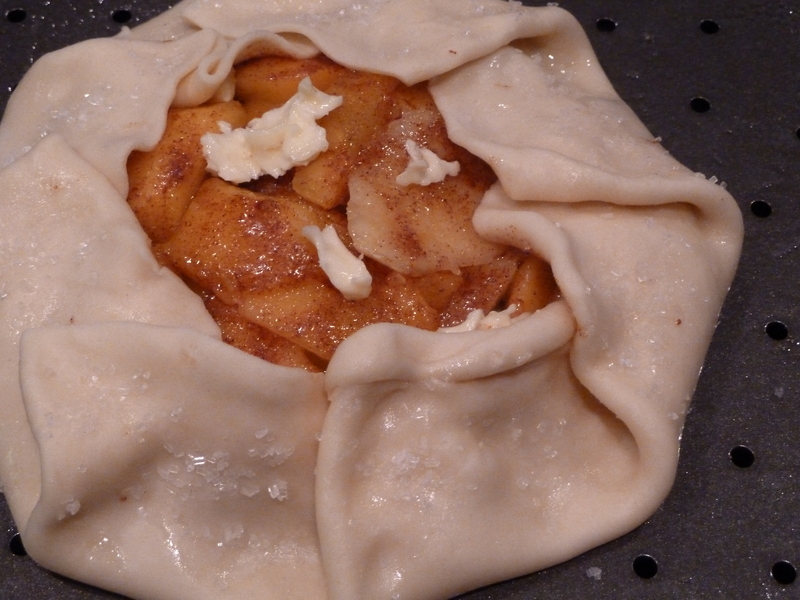 Start folding the edges of the dough back towards the fruit. Throw a few slices of butter in the middle of the tart. Sprinkle the crust with sugar crystals. Bake in a 350 degree F oven for 17-20 minutes. 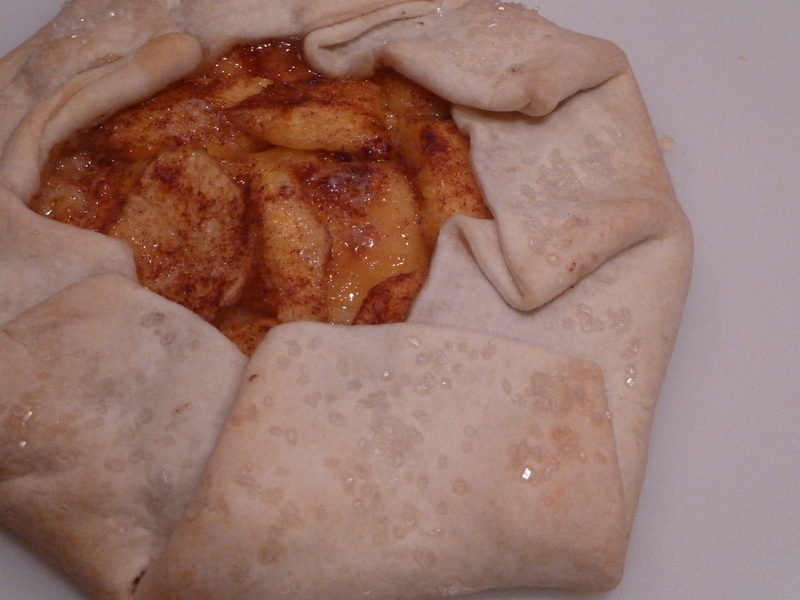 Remove from the oven when the crust is light brown and the fruit is soft. Slice into eighths and serve with vanilla ice cream. Yum! In a bowl, combine the fruit with cinnamon-sugar. Roll out the pie dough on a cutting board. 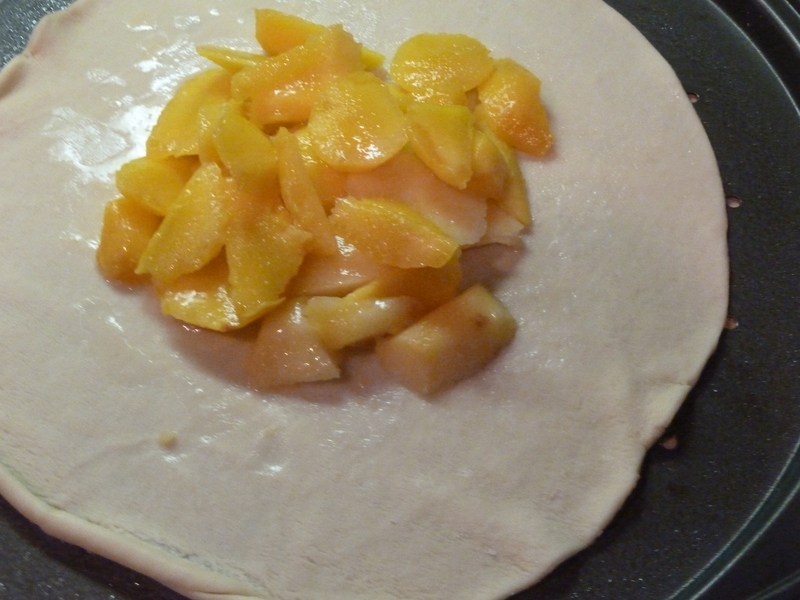 Pile the fruit mixture in the middle of the dough. 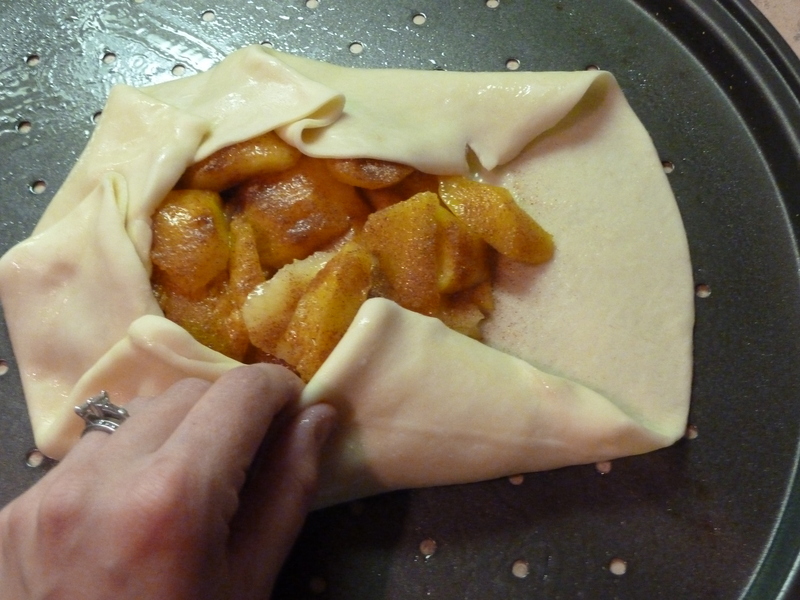 Fold the edges of the dough back towards the fruit. Throw a few slices of butter in the middle of the tart. Sprinkle the crust with sugar crystals. This looks great! I’m going to make one for the boys over 4th of July. Hope you have a great time in Carmel.